2017 is just around the corner and an exciting year for the SEO universe. So what can we expect this time round? It’s difficult to say, but here we’ve pulled together the most popular SEO trends 2017 which we may encounter. 1 Is Google’s AMP here to stay? 1.1 How can AMP help me? 2 HTTPS and referral data – What’s the deal? 3 Local business and citations – How relevant is it? 3.1.2 Peek into your competitors’ backlinks. Are there opportunities? Is Google’s AMP here to stay? Accelerated Mobile Pages, or AMP, are conceived by Google who wants to and intends to help make the lives of mobile users much easier by building “standard” content for those on mobile. So, what are these so-called standards? They’re essentially a set of rules made by Google that form a lighter and simpler version of HTML, thus helping pages to load much more quickly. First rolled out in early 2016, AMP generated quite the buzz in the SEO industry and left webmasters to watch it with caution. How can AMP help me? Page speed is important for your users. This is because the faster your website loads, the less likely your visitors will lose interest and bounce straight back to the search results page. Since these AMP pages are faster to load, there’s more of a chance that your visitors will also benefit from a better overall user experience. In terms of clickthrough rates and rankings, these fast-loading AMP pages will often do much better. Do understand, however, that you aren’t necessarily going to witness a huge surge of traffic immediately. This is because the bulk of traffic on mobile still flow from search results that are non-AMP. The future for AMP looks bright though – it’s already holds a monopoly on freshly produced content, and it’s value will inevitably grow. There’s an official plugin you can install onto your site. When it’s switched on, you’ll find that the content on your site will have spawned AMP versions. You can see these pages directly by simply adding /amp/ onto the URL. HTTPS and referral data – What’s the deal? Google’s ongoing battle regarding security for the Web had paved the way for HTTP elements to be factored into its existing ranking algorithm. The lesson here, apparently, was that changing your website from HTTP to HTTPS will give you a rank boost. Will this continue to affect our rankings in the future? Unlikely, but there are benefits to jumping over to HTTPS from HTTP, most notably from the referral traffic. Local business and citations – How relevant is it? In terms of local SEO rankings, the amount of and value of local citations may not matter so much anymore. So, building those citations may not actually have that much effect or your local SEO, or at least considered to be a hugely overestimated factor. Firstly, it should be mentioned that building backlinks locally differs from the link building that we’re normally used to. Traditionally, we’re told that links from authoritative sites are great and that unnatural, low quality links could hurt your rankings. For local SEO, having something that is locally relevant far outweighs the authority of that link. Essentially, if you do manage to muster a link that radiates with low authority but proves to be very relevant in the local area, that’s good news. Peek into your competitors’ backlinks. Are there opportunities? There’s a wealth of SEO tools which will provide you with finding this data and comparing them to your own. This includes SEO SpyGlass by SEO PowerSuite. This tool allows you to quickly gain access to your competitors’ backlinks with fairly little hassle. The IP address of the searcher has a huge influence on local ranking. 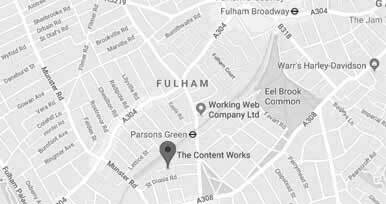 Ensure that for rank monitoring you have a geo location set in place. Rank Tracker gives you access to a feature that includes setting up for localised rank monitoring which is useful for filtering out the information you need, and those you don’t. Sometimes when you enter a phrase into Google you’ll be met with a block of writing at the top of the SERPs that condenses or summarises the answers to what you’re looking for. These are known as featured snippets or “direct answers” or “rich answers”. These snippets usually gain much more traffic for obvious reasons. They’re not difficult to miss and often includes a link to the source of where that piece of information originated from. Without saying, this amplification of content has huge potential in gaining more valuable, relevant traffic to your website. 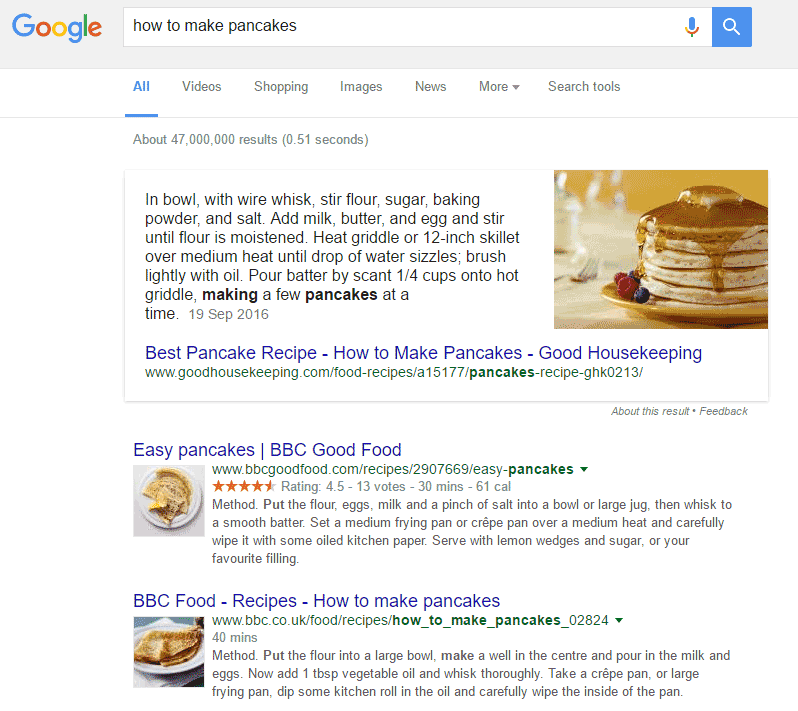 These featured snippets also have potential when it comes to voice search. How does this work? Whenever someone specifically uses voice search to look for a keyword and your site qualifies for one of these rich answers, your brand will be amplified by the good citizens at Google, giving you greater prominence and reinforced branding. It’s important to understand what your target audience are specifically looking for and exactly what they’re typing into Google. Generate content around the search query and don’t forget to use the phrase itself. Ensure your answer is direct and the structure itself is easy to digest. The better the quality and usefulness of the content, the more likely you’ll get featured as a snippet. Naturally, this will help generate interest and earn you more clicks from your users. Double-check that the Google spiders (or bots) can access the site navigation of your website with ease, promoted the links on your social platforms, and filed on GSC (Google Search Console). ← Google Possum & Penguin 4.0: Who’s Affected?